Most guidebook will have a short section on the history of whatever place they cover. The problem is, your average Wikipedia article will usually give you more information than the history section of a guidebook. I don’t fault guidebooks for their history coverage though, because they aren’t in the history book business. To really understand a culture, you have to understand its history. Food, dancing, language and religion are all important, but sort of meaningless without the background that history can provide. Example: I was visiting Yogyakarta, Indonesia visiting the two great temple complexes of Prambanan and Borobudur. Prambanan is a Hindu temple. 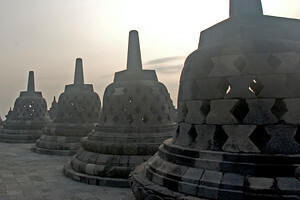 Borobudur is a Buddhist temple. Modern Indonesia is mostly Muslim. Connecting those dots gives you a sense of the sweep of history that has shaped Indonesia. It explains why Bali is Hindu. It can help explain why Most of SE Asia is Buddhist. Most importantly, it lets you see culture as a dynamic process, not as something static. Culture today is just a snapshot and it is different from culture 100 or 1,000 years ago. To really get a sense of history, you need to read long form content. The internet, while great at some things, is horrible at others. You wont get a rich understanding of the history of a place by reading a 500 word blog post. You at least need to read a book, complete with footnotes and a bibliography. What history you should read is really up to you. Not all history needs to be ancient history. Try to fill in the gaps you know nothing about. Before I visited Japan I read up on post war Japan, in particular the great Pulitzer Prize winning book Embracing Defeat: Japan in the Wake of World War II. I figured learning about pre-Miji Japan was great and all, but to really understand Japan today you need to understand the years after WWII…which I knew nothing about. Another great book I read was the biography of Douglas McArthur, American Caesar: Douglas MacArthur 1880 – 1964. McArthur’s life story covered the Philippines, Australia, Papua New Guinea, Japan and Korea. The story of the war in the Pacific, especially PGN campaign, is little known in the US. When I was in the Middle East I read up on another big, important chunk of world history I new little about. The spread of Islam and the rise of the Caliphate. The Great Arab Conquests: How the Spread of Islam Changed the World We Live In was a great introduction in the spred of Islam in the 7th Century. You owe it to yourself to have more than a cursory understanding of wherever it is you are visiting. What part of history and what book you read is really secondary to the attempt to understand how the place you are visiting came to be. If you must choose, grab the history book before you grab the guidebook. You won’t regret it. I am headed to Machu Picchu in May and instead of reading a guide book I decided to read Hiram Bingham’s book on his discovery of Machu Picchu then watched specials on the history of Machu Picchu. It means so much more to me now than had I just gone or read a quick snip it in a guide book. I know most people like to hate on the Kindle, but I’ve had one for several years and it is one of my favorite travel tools. I used to lug around lots of books with me whenever I travel, but now I only need this tiny device, and it can store thousands of books. The key difference for me between the Kindle and iPad is that the Kindle’s screen is not like a computer screen. It’s not back-lit and doesn’t have a glare — it uses electronic ink and looks like it’s on paper, so it’s very easy on your eyes. The iPad uses a computer screen with a glare, and after a while, it hurts my eyes to read on a screen like that. While the iPad certainly has some amazing features, the Kindle is smaller and much easier for me to read for long periods of time. Plus, with the new version of the Kindle, its network now allows international connectivity (the lack of it in its prior model made me nuts). Interesting advice! My problem with guide books is that they’re usually so full of clutter. But reading a bit about the history of the country you’re visiting always make the trip more interesting. Totally agree. Would love to see some more book recommendations from you in the future! I’ll be checking these out, particularly The Great Arab Conquests. I love history, so I completely agree with your take here. One thing guidebooks ARE good for in this respect is that they have fairly lengthy resources section. Rough Guides, for example, often has lists of history books. When I went to Portugal last year, I read one of the history books recommended by Rough Guides prior to the trip and found it useful and interesting. Once decided where to go, the best thing you can possibly do is to get into a good history book. But history according to who? Historians squabble over this, it would be interesting to hear of your recommendations, could help towards a travel resource. As with anything you need to have your BS detector functioning. That is why I said you have to take autobiographies with a grain of salt. When the subject of a book is the author, you are always going to get some sort of positive spin. I can only recommend things I’ve read. Picking a book prior to reading it is tough. Try Amazon reviews or the people who recommend it on the dust jacket. I’ve had a few books I’ve never bothered to finish because I found them too biased. I accidentally purchased an audio book on the history of China which I later found out was sponsored by the Chinese Communist Party. I sort of sensed something was odd when the book got to the 20th Century. Great advice! I agree with you. 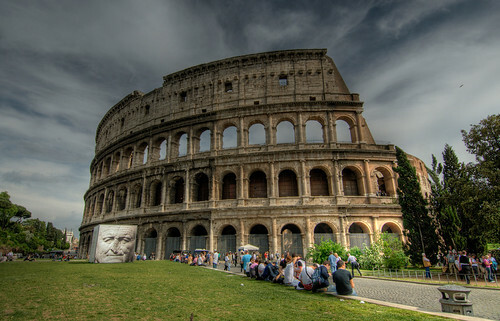 History means so much more when you can connect the dots and understand the culture. The places visted also become so much more real. I also recommend historical fiction. The Flashman novels are a fun read for historical fiction with a larger than life fictional leading man. I read the book “Flashman’s Lady” right after visiting Kuching and it was a fun filled romp through the days of the White Rajah! The hotel I’m staying at in Bangkok has a bunch of Flashman novels. I had never seen them before.